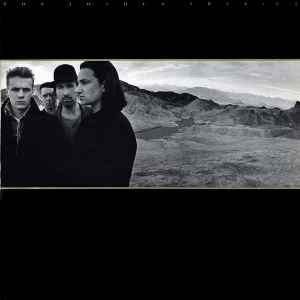 "The Joshua Tree" is the fifth studio album by rock band U2 and was released on 9 March 1987. It won the 1988 Grammy award for album of the year. The Joshua Tree entered the US album charts at No.7 and reached No. 1 three weeks later. It was U2's first album to reach No.1 in the United States. In 1999, The Joshua Tree was awarded the RIAA's highest certification, Diamond, with 10 million units sold. The album also peaked at No.1 on the UK, Canadian, West German, Dutch and Australian charts. In Switzerland, the album reached No.1 on the charts and stayed there for a total of 33 weeks. The album and sleeve cover also placed No. 1 in Rolling Stone magazine's annual Music Awards chosen by readers. Critics at Rolling Stone made it No. 2 album of the year. U2 also won Best Rock Performance By A Group Or Duo at the Grammy Awards for The Joshua Tree. Just a really odd sounding pressing. Some parts sound really good while other parts are just bad. Decent bass and midrange but the balance is off and the vocals sound weird at times. There are instances of over compression and sibilance. Nice depth, decent clarity and detail but an overall average and unfocused mastering job. If you have a decent enough system this might end up sounding ok but I'd reccomend another version for sure. Is the mastering different than the 2007 2xLP reissue? . I love the sound quality on this repress, I would give it about an 8.5. I only had an earlier press to compare to but it was worth getting this press for sure. My LPs are in great condition, sounds great. Nice package as well. I bought that one but I'm still not sure cause my vinyls are golden which is here never mentionend. All other is the same 12x12 book, gatefold, and the weight of the vinyls feels like 180 gram (also not here mentioned but by sticker on record). It must be that version it's from 2007/2017 so the 20th aniversary is now now the polished 30th anniversary. But sure 180 gram golden vinyl and the 12x12 book . Great edition plus Downloadcode. Very well sound to me. There are a few versions of this album circulating, but this is the one to get. The sound quality is lush and deep. The packaging is very well done. This is the best that I've heard these wonderful songs sound. This entry matches my copy EXCEPT my copy has no "EAST" or anything else around the spindle. Maybe not all copies have it? Records I got in 2013 par EllieF. Records I got in 2012 par EllieF.